That they are forged...not cast. That the handles are made separately from the blades and hand welded together. That they are made from 440-A or higher Hitachi Japanese steel. That they have convex blades. 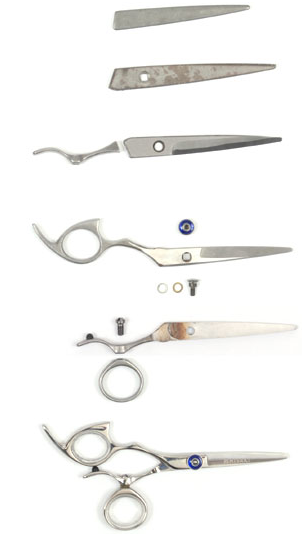 All Shark Fin shears have hand-honed, convex edges. Shark Fin shears are made from the highest quality 440-A, 440-C & ATS-314 Japanese Hitachi steel. The handles are made separately from the blades and then are hand-welded together, giving our shears excellent balance and "tuneability."